Parmesan Croughnut. There are three flavors available but we all ordered this. Happy to say that this is not that sweet and I like the parmesan cheese, and it is baked so its not oily. But its chewy so I don't know what happened to the croissant part of this hybrid pastry. 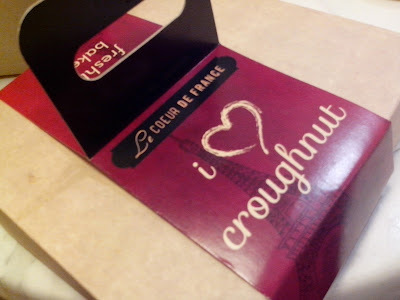 I really can't compare with the other famous and infamous cronuts because I'm a cake and chocolate person. The muffins at Le Coeur de France are l-o-v-e!